A new baby is on the way and your pets will need to adjust. After all, they were the new babies first. It is a lot like preparing a sibling for a new family member. Pets, like children, may feel resentful that they are no longer the center of your attention. Work on this by gradually pulling back on the amount of time you spend with your pet before the new baby arrives. Have another family member become closer and more engaged with your pet, especially if he is very attached to you. Invite friends over with their babies so your pet can get used to the sights and sounds of a little one. You can even play recordings of baby’s crying and let them hear the sounds of the baby swing or crib toys. Before you come home with the new baby, have a family member bring home a blanket with the baby’s scent for your pet to become accustomed to. Give your pet lots of exercise on the day the newborn will arrive so he is relaxed and tired out. When you arrive, have another family member take the baby so you can calmly give your pet a warm welcome. You can help your pet associate the baby with something positive by giving a treat for good behavior as you sit by him with the new baby. 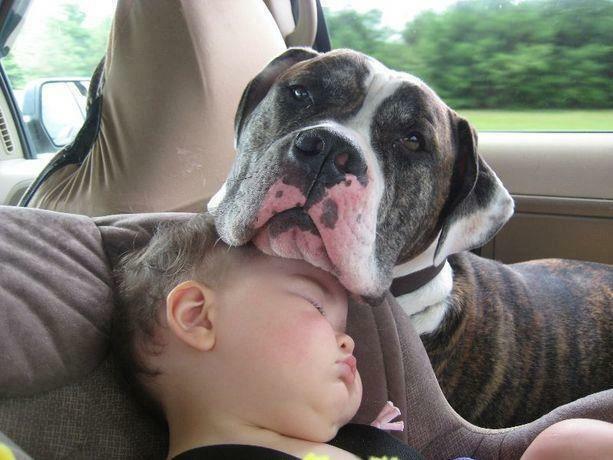 Always supervise the pet and baby interactions and never force them on your pet. Maintain your regular routines as much as possible and spend quality time with your pet each day. Your calm demeanor and positive rewards will go a long way in helping your pet know this new family member is one more person to love!